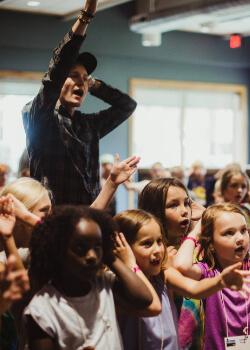 For over 70 years the ministry of Camp Geneva has been connecting children with Christ through summer camp programs. We offer young people the opportunity to disengage from their everyday life and understand their identity and purpose in Jesus Christ. There are few places where this can happen clearer than at camp. Your gifts of financial support play a vital role in making that happen. Thank you for connecting children to the love of Jesus Christ in our summer camp program by making a financial gift today. Gift options include a one-time or monthly recurring gift. GENEVA is a 501c3 non-profit organization and all donations are tax deductible. You will receive a receipt. If you would like to give directly to program-related items please check out our WISH LIST below. You can donate online now or send a check. Please indicate which item(s) you want your donation to go toward in the “notes” section of the online form or on the memo line of your check. Thank you! Lanyard string, tie-dye material, markers etc. 4 sets of Bowling Pins for a new camp activity debuting in 2019! Lifeguard certification for a summer staff who will supervise all water activities including the pool and lake as well as teach swim lessons to local children. A counselor's role is to be a positive role model, provide care and support for each camper, and explore the love of Jesus with their cabins. There are multiple ways to give other than gifts of cash or gifts to the wish list. The federal tax law makes gifts of appreciated assets — those that have grown in value — more advantageous than giving cash. Because the appreciation is not subject to capital gain tax and you receive a tax deduction for the full value of the gift, you can actually contribute more money to ministry through non-cash gifts. You can set up monthly donations through the online donation form at the top of this page. This helps the GENEVA ministry live out its mission on a regular basis. You will receive one receipt at the end of the year. Contact Lauren Bowman at CapTrust Financial Advisers with any questions, 616.392.5332. Additionally, please contact the GENEVA Office so that your gift can be properly recorded and acknowledged — we’ll need the name of the stock and number of shares you are transferring. Contact Executive Director Kevin VanderKlok at 616.399.3150 or send an email with the name of the stock and number of shares you are transferring. In-kind gifts are actual goods rather than cash. Maybe you have an item at your home or business that would benefit the GENEVA ministry? In the past GENEVA has been blessed with items such as gas powered golf carts, tubes (for towing behind boats), tools, pool equipment, and gifts on the wish list. Thank you for considering GENEVA when donating in-kind gifts. GENEVA is able to receive a variety of assets as charitable gifts, allowing you to gift the asset that provides the best tax advantage. Examples of non-liquid assets include: real estate, business interests, life insurance, commodities, and IRA/retirement assets, and tangible personal property. Since certain restrictions and requirements surround the giving of various types of assets please contact Kevin VanderKlok at 616.399.3150 or send an email to help determine the best asset to gift in each situation and to get the process started. The GENEVA family has demonstrated amazing commitment in its support for the Christian summer camp experience and creating space for youth and adults to grow in the love of Jesus. Planned giving is a way to continue that commitment and provides significant support for GENEVA each year. In fact in many cases, planned giving also allows individuals to leave the most significant gift of their lifetime. 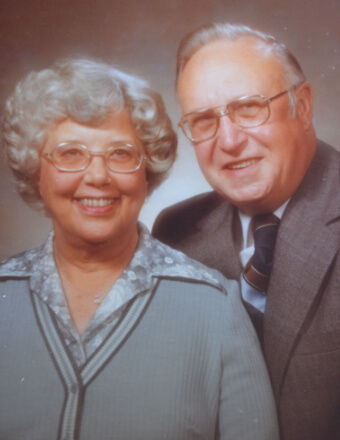 GENEVA has established the George and Florence Douma Legacy Society to recognize and thank those who value GENEVA enough to make a planned gift and help assure that the mission of GENEVA continues into the future. Know that your commitment and faithfulness to GENEVA through a planned gift will grow generations of youth and adults in the love of Jesus Christ. To explore planned giving options, please contact GENEVA’s executive director, Kevin VanderKlok, at 616.399.3150 or send an email. Or, if you have included GENEVA in your estate plans already, please let us know. We would like to thank you for your generous commitment and welcome you to the George and Florence Douma Legacy Society. GENEVA is honoring their outstanding contributions to our history and our future by naming our legacy society the George and Florence Douma GENEVA Society. When the Grand Rapids Classis of the Reformed Church met in November of 1945 to appoint a committee empowered to confer with the other West Michigan Classes, raise funds, and purchase grounds for a summer camp, the Reverend George Douma was appointed chair of the committee. Within a year, George and his committee had identified GENEVA’s present location as the site for the proposed camp, and by July of 1946, a Finance Committee for the future camp was formed to raise funds for the purchase of the grounds and the construction of camp buildings, under the theme “Invading Vacationland for Christ.” By 1948, the cabins and Assembly/Dining Hall had been constructed. Throughout GENEVA’s early history, George Douma was President of the Board of Directors. He played a pivotal role in creating GENEVA and in shaping it into the wonderful place it is today. George and his wife, Florence, invested themselves deeply in GENEVA during their lifetimes. They also continue to share in GENEVA’s legacy, as they made GENEVA a beneficiary of their estate plan. GENEVA is honoring their outstanding contributions to our history and our future by naming our legacy society, which includes all those who have made a planned gift to GENEVA or who have made provision to include GENEVA in their will or estate plan, the George and Florence Douma GENEVA Society.